Used 2014 Jeep Wrangler Unlimited, DESIRABLE FEATURES: 4X4, Premium Sound, Leather Seats, and Keyless Entry. This 2014 Jeep Wrangler Unlimited Sahara 4WD features a Black Clearcoat Exterior with a Black Cloth Interior and has only 84,117 miles. 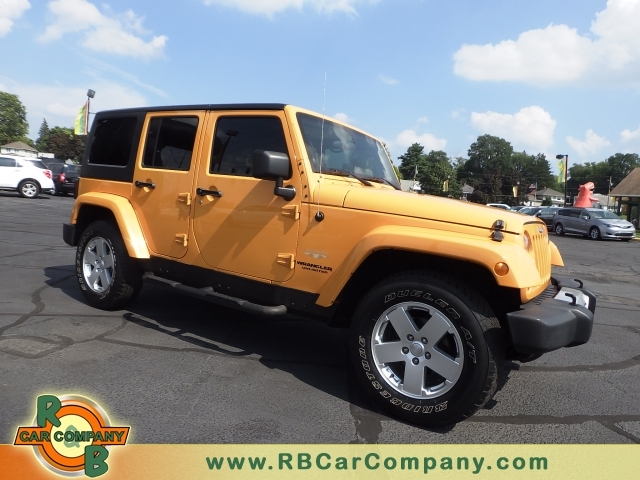 DEALER CONTACT INFO: Call R & B Car Company South Bend today at (800) 260-1833 TO SCHEDULE YOUR TEST DRIVE of this 2014 Jeep Wrangler Unlimited Sahara 4WD! R & B Car Company South Bend. You can also visit us at, 3811 S Michigan St. South Bend IN, 46614 to check it out in person!